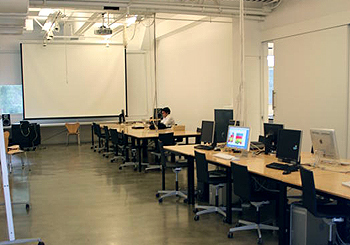 The Design Media Arts labs are located at the Broad Art Center on the UCLA Campus. 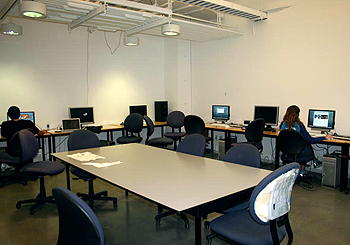 The third floor features audio/visual lab classrooms and studio space. On the third floor is an audio/video special computer lab in room 3261. The fourth floor features an IT helpdesk, labs and seminar rooms. The technical helpdesk is located on the fourth floor in room 4261. 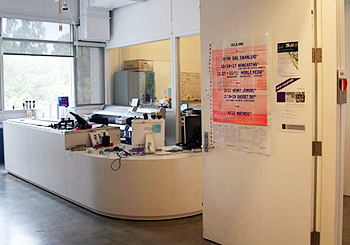 It is staffed with trained consultants who can help with quick questions on printing, lab issues, software, and equipment reservation.The fourth floor also features the main computer labs.